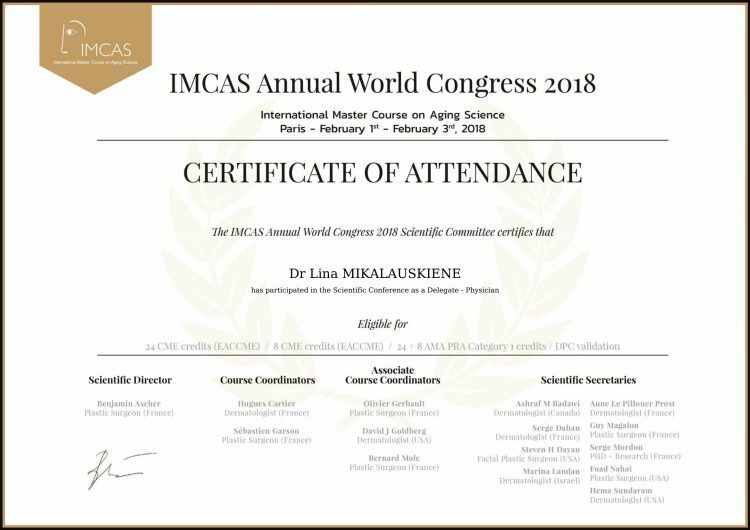 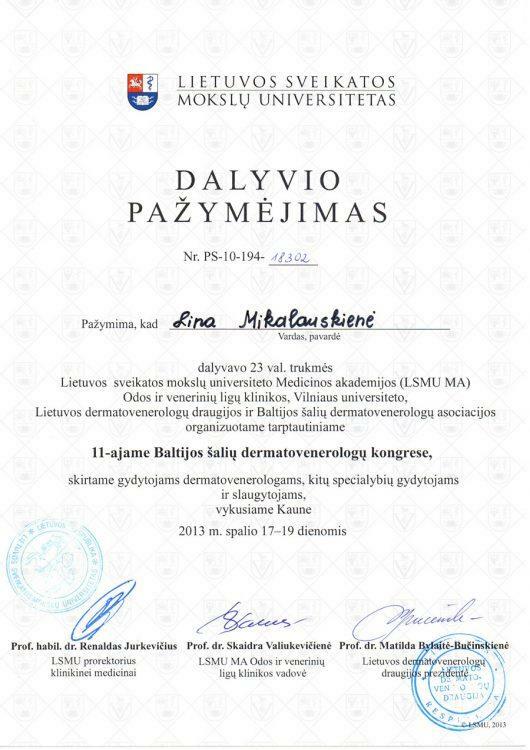 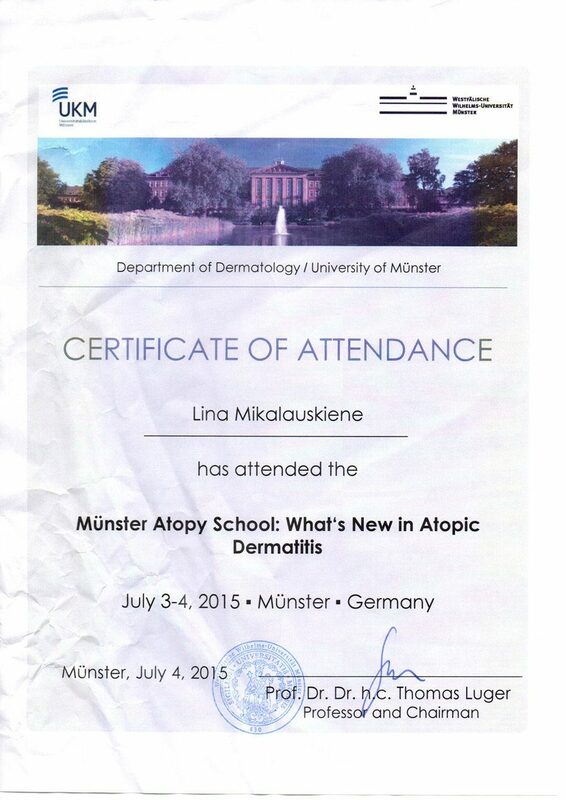 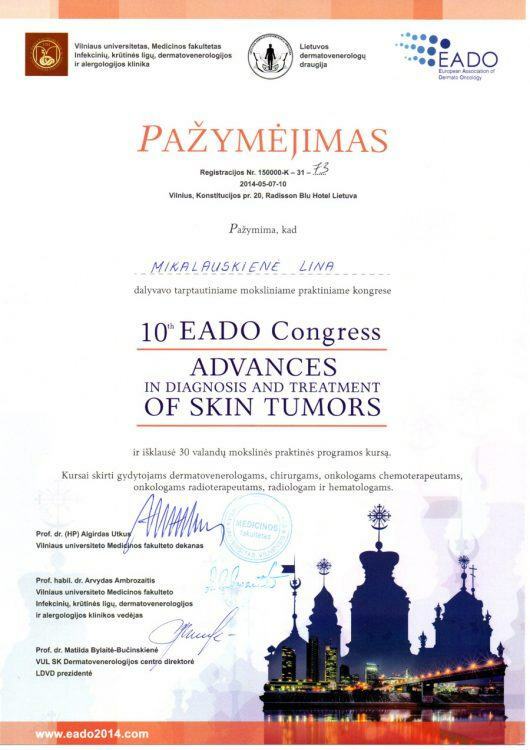 Member of Lithuanian Association of Dermatovenereologis (LDVD). 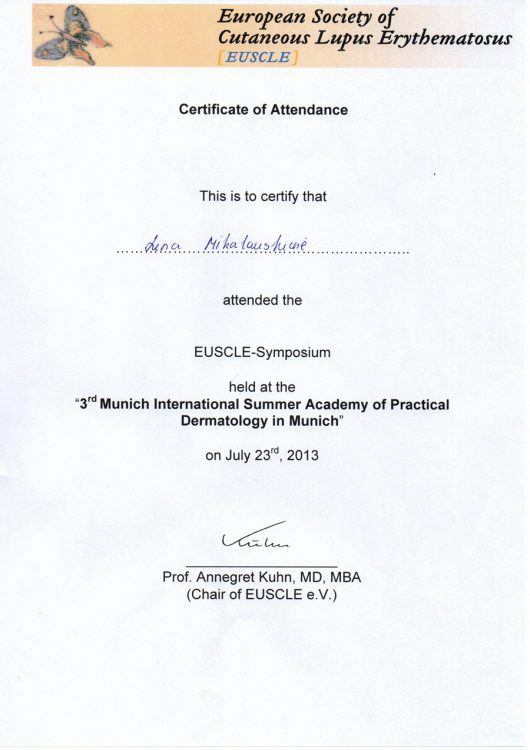 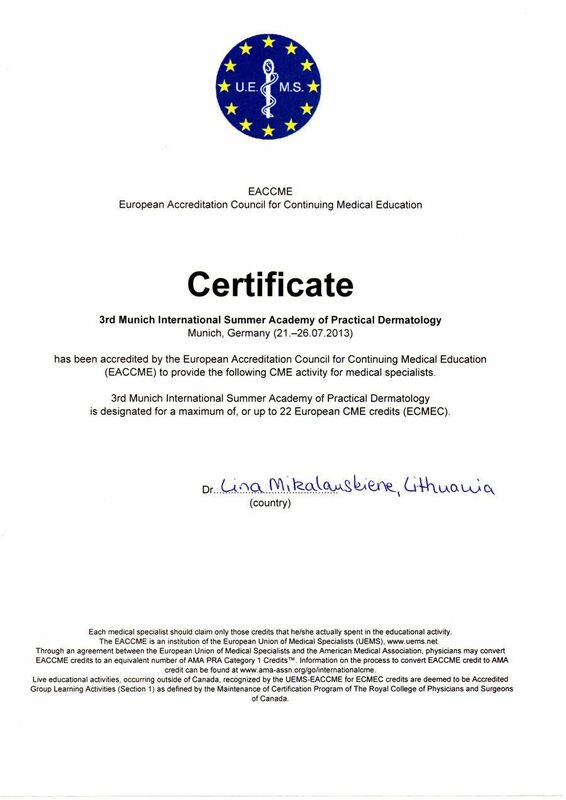 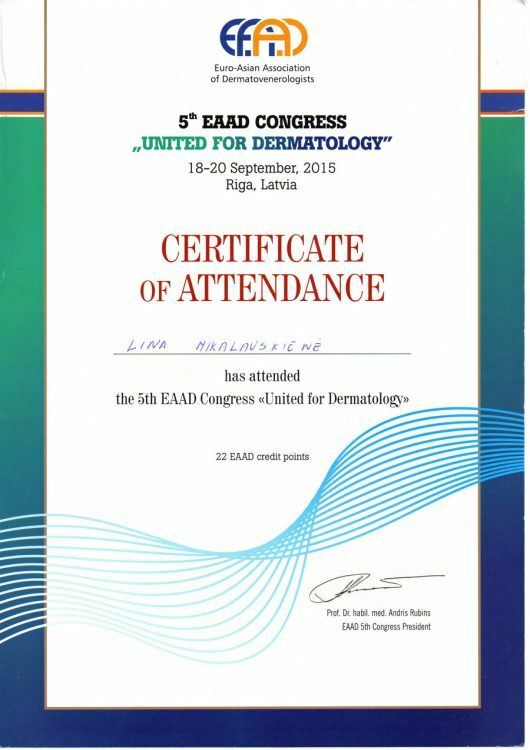 Member of European Academy of Dermatology and Venereology (EADV). 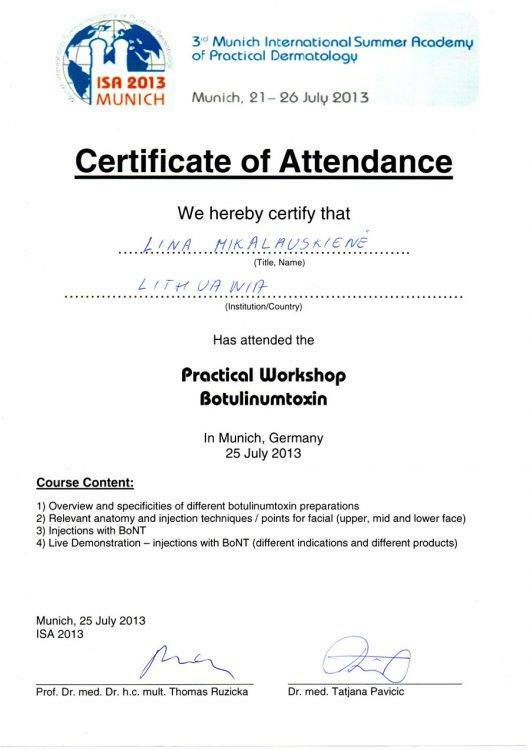 Training in Germany. 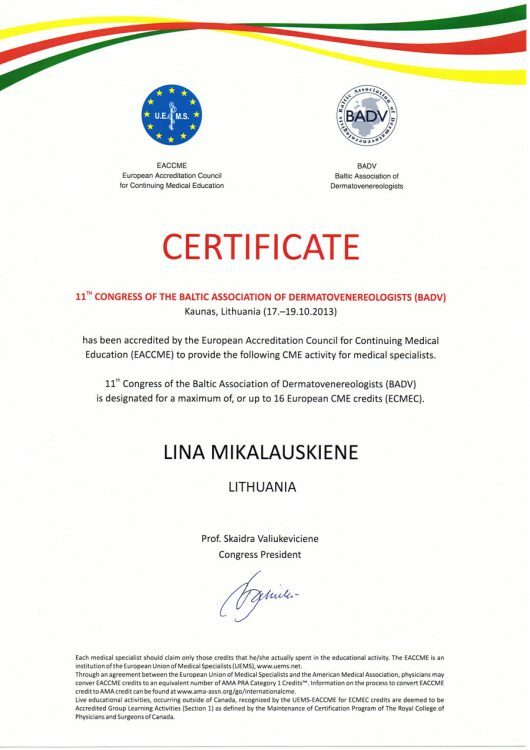 Graduated from Kaunas University of Medicine. 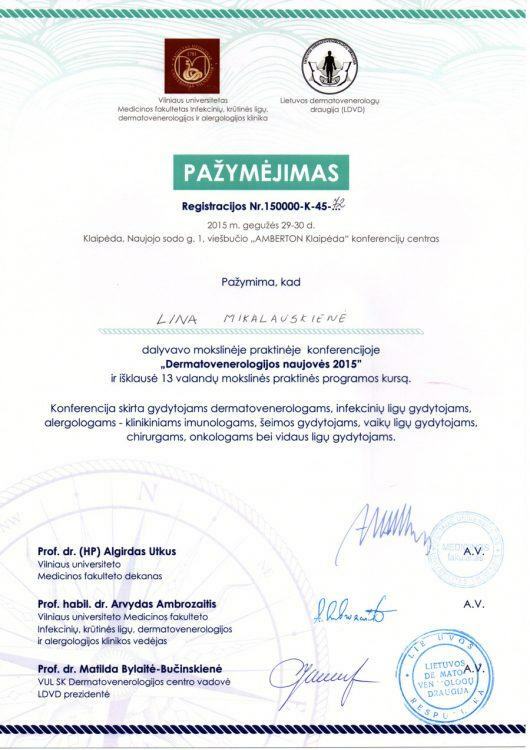 Faculty of medicine, acquired Master’s degree in medicine. 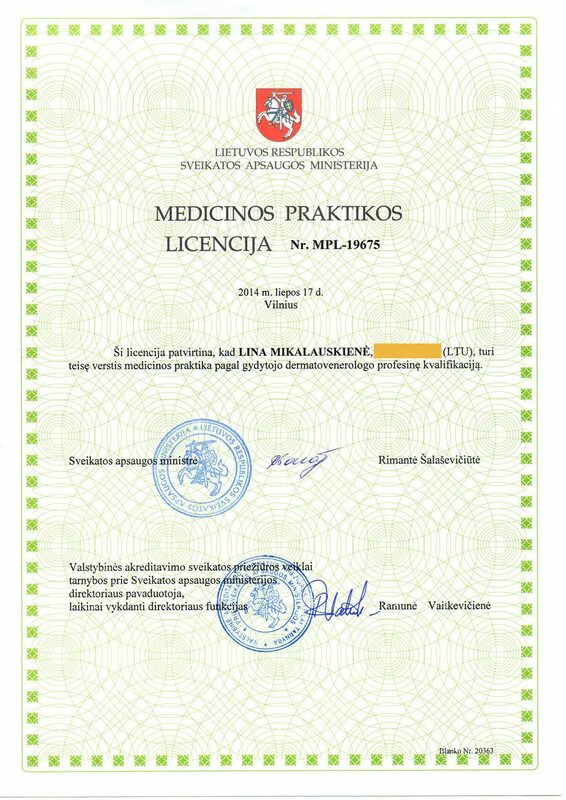 Public Institution S. Kudirka Hospital of Alytus County – medical internship, acquired doctor’s professional qualification. 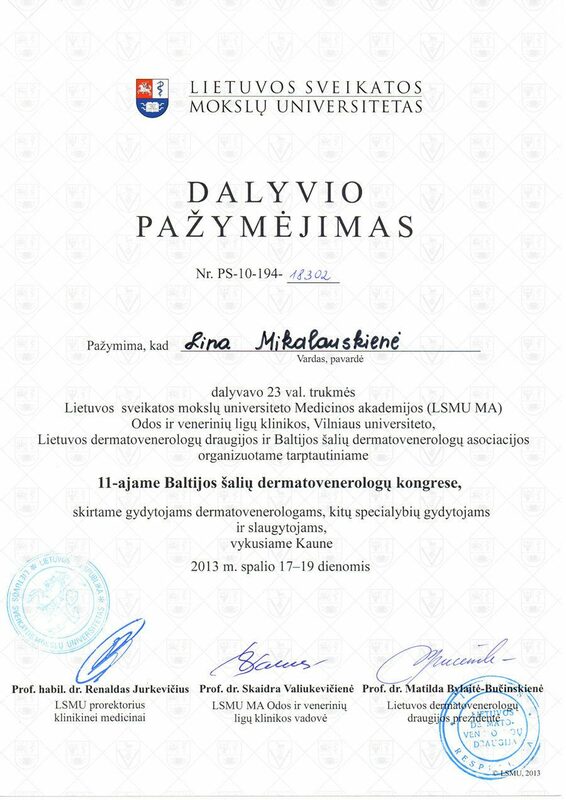 Public Institution Lithuanian University of Health Science Kauno Klinikos, Skin and Venereal Diseases Department– dermatovenereology residency training. 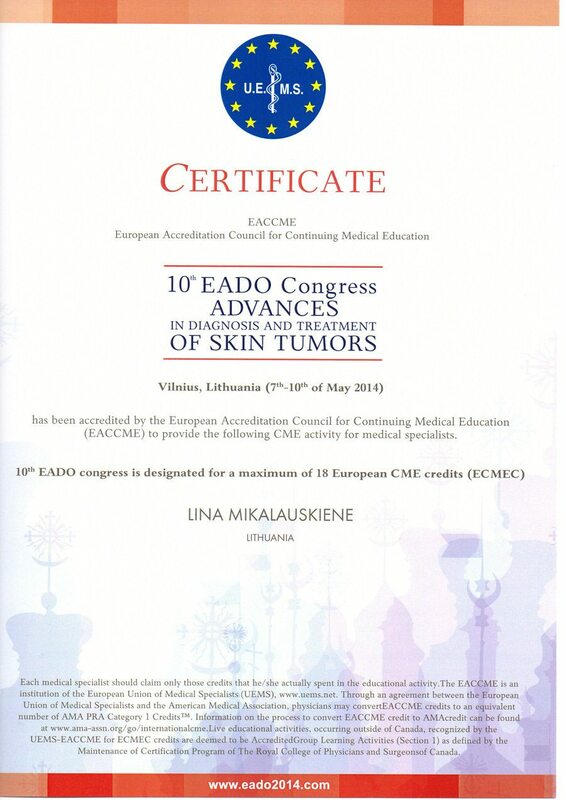 Dermatovenereologist at Era Esthetic laser dermatology clinic.